The thousand-year-old city is the centre of Tolna County and the historical wine-growing region. It has preserved its character of a provincial town; its streets hold several sights and other places of interest. The tradition of wine-making has been a part of the life of local people for hundreds of years. 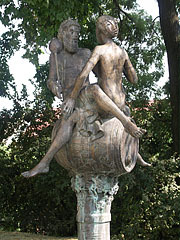 When a wine harvest is celebrated here, visitors should not be surprised by the fact that wine spills out of fountains as well. The original name of the city was not Szekszárd, but Szegszárd, which refers to the name of Béla I, who was a bald man with brown skin – in old Hungarian language: szög ~ szeg and szár (‘nail and stem’). Arriving from the direction of Road 56 the first thing to be seen is the Baroque Statue of the Holy Trinity from 1753 in the middle of Béla Square. The statue is a memorial to the plague epidemic of 1738-40. 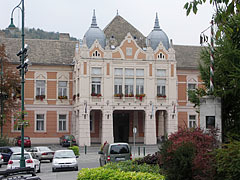 The City Hall is situated on the left side of the square, it was built in 1846. Opposite this building the Roman Catholic Church of 1802 in Zopf-style can be seen. This is the largest single-aisled church in Eastern Europe. The former neo-Classic County Hall of 1780, designed by Mihály Pollack, is on the right side of the square. It was built on the ruins of a Benedictine abbey from the 11th century by Béla I. The basement walls of the excavated monastery can be seen in the garden of the County Hall. Going along the road behind the County Hall, the potter’s workshop of István Steig is open to visitors. Walking from the direction of the square towards Remete Stream we can see the museum built in Zopf-style from 1780 with the statue of the famous poet in its garden. He was one of the most celebrated Hungarian poets of the first half of the 20th century. The Remete Chapel from 1778 and Calvary also from the 18th century are situated on the limits of the city on a gently sloping area with vines. The neo-Classic Augusz House (Augusz-ház) from 1820 is located on the side of Road 56. Here rooms to the memory of Ferenc Liszt have been established. This was the place where the famous composer he stayed he gave concerts in Szekszárd. Baron Antal Augusz, the owner of the house at that time, asked Ferenc Liszt to compose the Szekszárd Mass. The building has a conservatoire in these days. 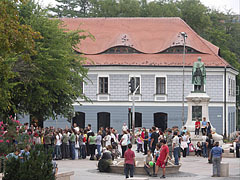 The bust of the composer, made by Miklós Borsos, is exhibited in the park behind. Further on Road 56 we can find the Chapel of St John and Paul from 1760, and further on, on the other side of the road the rows of cellars are located. 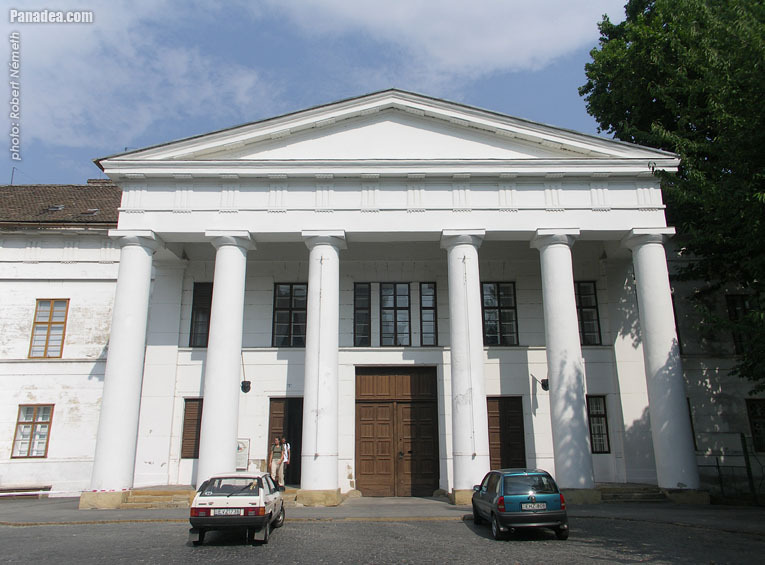 The museum, in a stately neo-Renaissance building, was named after the accomplished archaeologist of the city, Mór Wasinszky. The ancient collection in the museum is the result of his excavations. 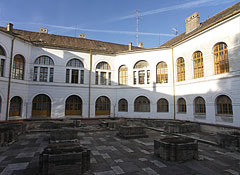 Other finds of Thracian, Roman and medieval times are exhibited here also. In Duna-Dráva National Park, in the floodplain of the Danube can be found the most significant natural beauty, the Gemenci Wood. The wood can be reached from the Leisure Centre of Gemenc by train, by a horse-drawn-carriage or even by ship. 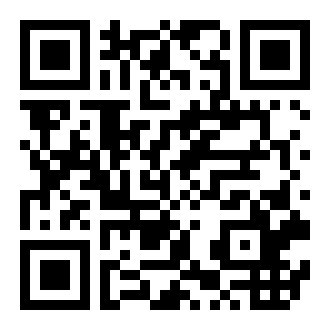 Dombori, administratively belonging to Fadd, can be reached very easily from Szekszárd. 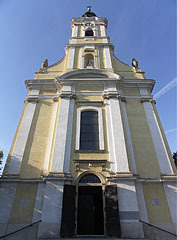 The area is located on the shores of the Danube backwater. The place is very calm and clear, the water is shallow. It easily warms up and families with small children will find it safe and suitable for bathing. The shore is well developed but it is not over-crowded.